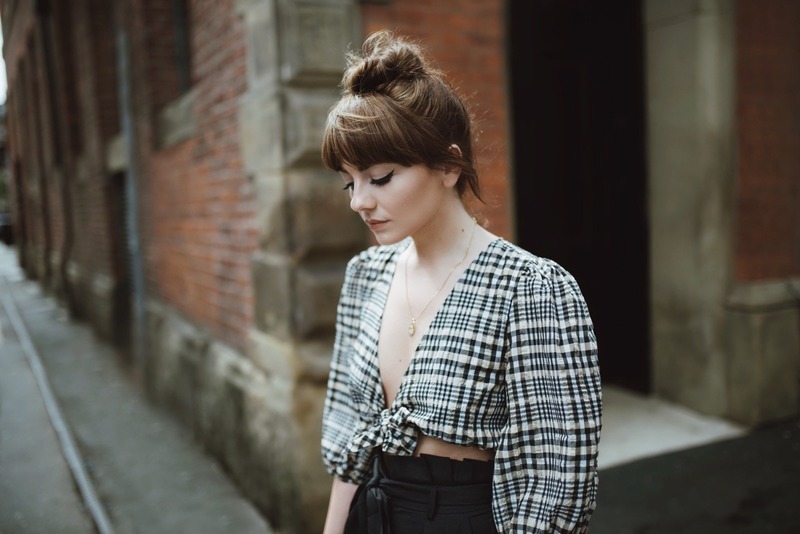 I bought these trousers around Christmas time and completely forgot I had them in my collection – they are such a floaty/breezy material, and perfect for pairing with this tricky style of top. I’ve also recently worn it with an indigo denim midi skirt, and it looks lovely with that too! I always try make sure that any investment top I buy will match with at least two different bottom options in my wardrobe. That way, it’s less of an impulse/trend lead buy, and bound to be something I’ll wear often. Having said that, I’m not sure how often I’ll get to wear this beauty in central Manchester – but it will definitely be coming on holiday with me at the end of the month! I love how it looks with oversized oval sunglasses and my new obsession – woven shoes. I’ve seen so many floating around Instagram, and all of them have been wildly expensive for an impractical shoe. I mean, they are essentially shoes with lots of holes in them from the moment you buy them – but they look pretty so it’s okay! I spied these whilst looking on the H&M website recently – I’ve been on a bit of a homeware hunt and have been updating the flat room by room. We are actually planning to move at some point this year, so I’ve been careful to select items that I know I can carry over to the new place. Anyway, I digress – I spied these braided slingback flats and instantly added them to my basket. They are my favourite bargain in a long time, and haven’t rubbed my feet once. 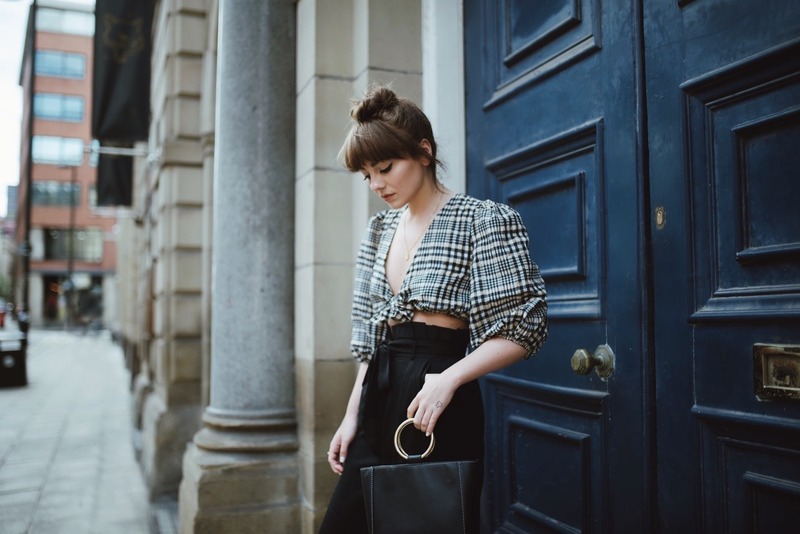 They just elevate any simple outfit and make it look instantly more stylish – trousers, midi skirts, frayed denim, these babies have all bases covered. I love the silhouette of the top with the trousers! I just got similar pants and I’m excited to try something similar! Lovely combination! Even though I’m not exactly a a fan of wearing crop tops, I love the outfits other people put together with them (not sure why, though).